The team's main focus is on linguistic distance, which provides us with a basic framework for addressing issues such as automatic language, dialect, or speaker recognition, as well as the perceptual and underlying cognitive processes involved. Our research relies heavily on the member's complementary skills in linguistics, psycholinguistics, speech processing, and computer science. 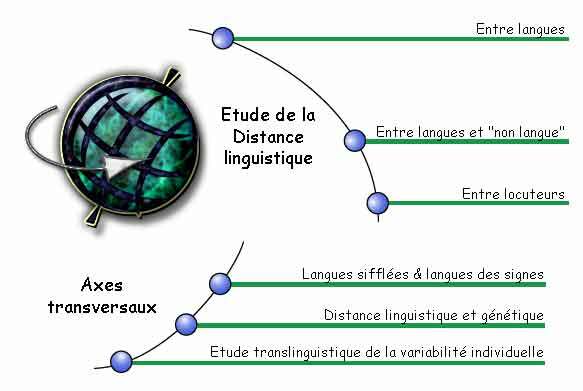 It is structured around both specific operations related to a particular linguistic domain (Afro-Asiatic and European languages, English and Arabic dialects) and complementary approaches (modelling, perceptual and cognitive studies) which offer a broader and more original perspective.